Scoot now flies to Honolulu from Singapore 4 times a week with airfare starting at S$948! What’s special about Hawaii? Isn’t it just another Singapore (read: sunny tropical island state) located in the middle of the Pacific Ocean? That’s what I thought Hawaii is until I stepped foot onto the island of Oahu — the capital of USA’s 50th state. Well, Hawaii isn’t just another US state. Its geographical location is the one great factor that differs it from mainland USA. Besides having unique flora and fauna, it is also a melting pot of diverse cultures, and with that comes warm friendly locals, and also a great variety of good food. Here are hence 9 unique things to do in Honolulu, Hawaii, which proves that Hawaii is a gem destination itself. Movie buffs will not want to miss this next nature reserve. 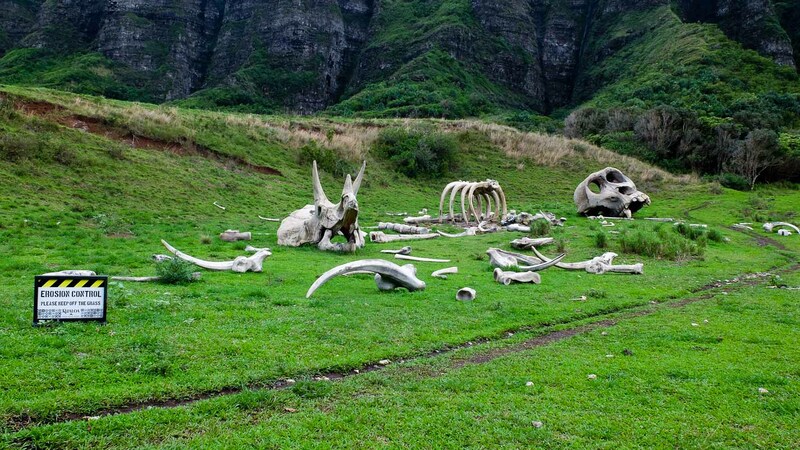 If you’ve watched movies like Jumanji: Welcome to The Jungle, Jurassic Park, Kong: Skull Island, and Godzilla, you’ll most probably recognise the iconic mountains at Kualoa Ranch. Upcoming movie Jurassic World: Fallen Kingdom was also filmed there! Do look out for it in Jun/Jul ’18! 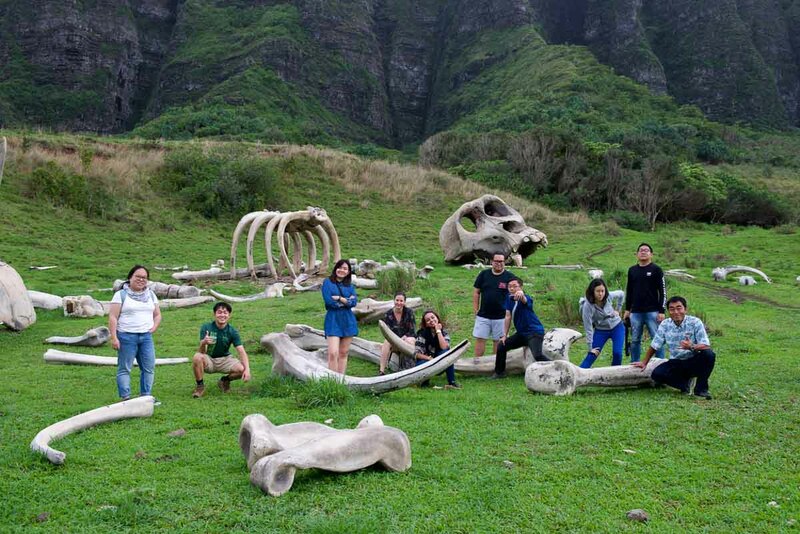 Go for an eco-adventure at the most out-of-the-world movie set, where you can pose for pictures on the log that they used in Jurassic Park, or stand in one of Godzilla’s footprint. 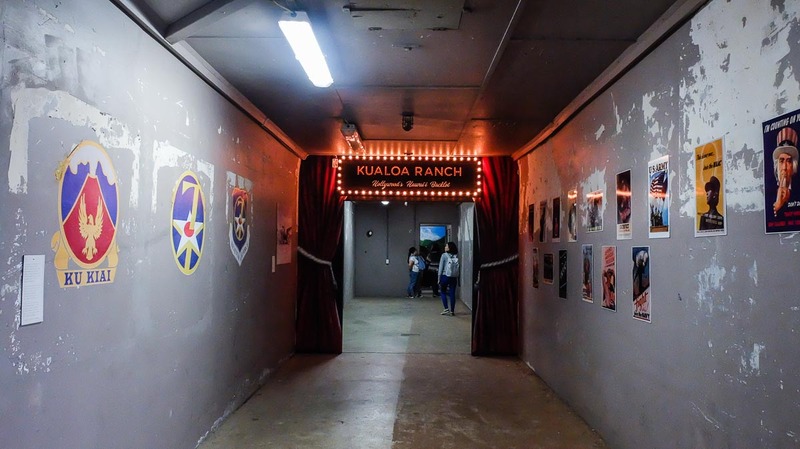 There’s also a bunker from WWII that has since been transformed into an exhibition hall for the various movies that has been filmed at Kualoa Ranch, decorated with props used and posters of the movies. 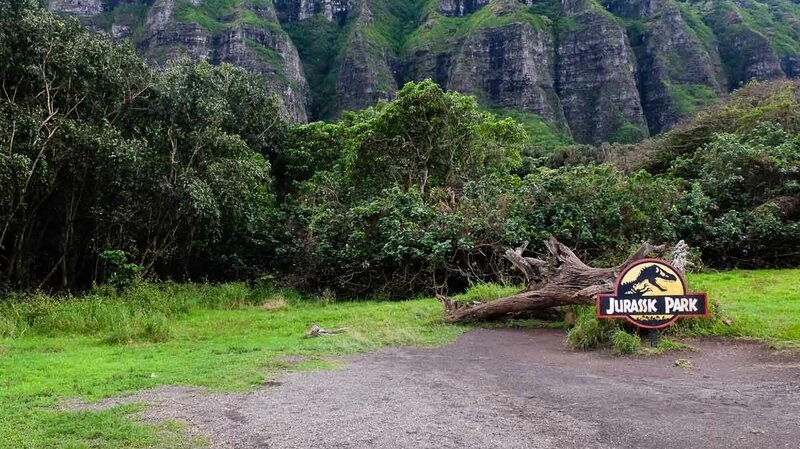 Visitors can choose to explore Kualoa Ranch from 10 types of tours, by ATVs, horse-riding, or comfortably on a bus. Situated in the Pacific Ocean, Hawaii is no stranger to visiting marine animals such as seals, turtles, sharks and even whales. If you’ve been on a whale-watching tour, you’ll know how arduous the voyages are into the open seas just to see some whales flip ’em fins. 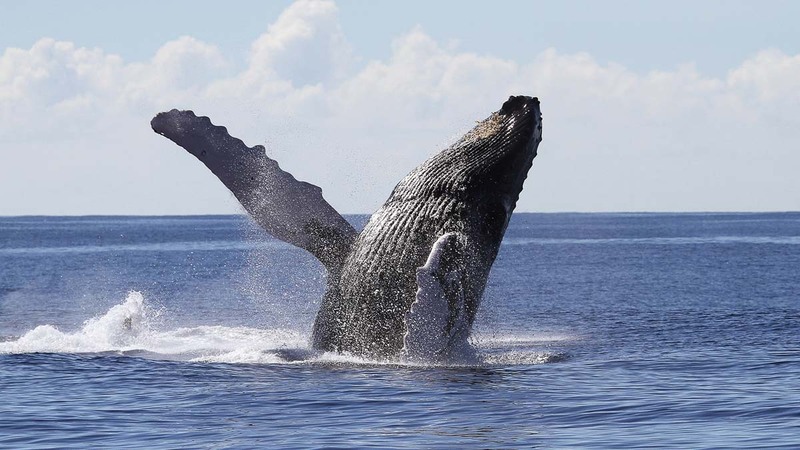 In Oahu, will some patience, you will be able to spot whales from any beach, lookout points, or anywhere that is shore-facing. We managed to spot some spouts from whales’ blowholes at Kualoa Ranch. You can also spot them at Waikiki Beach. 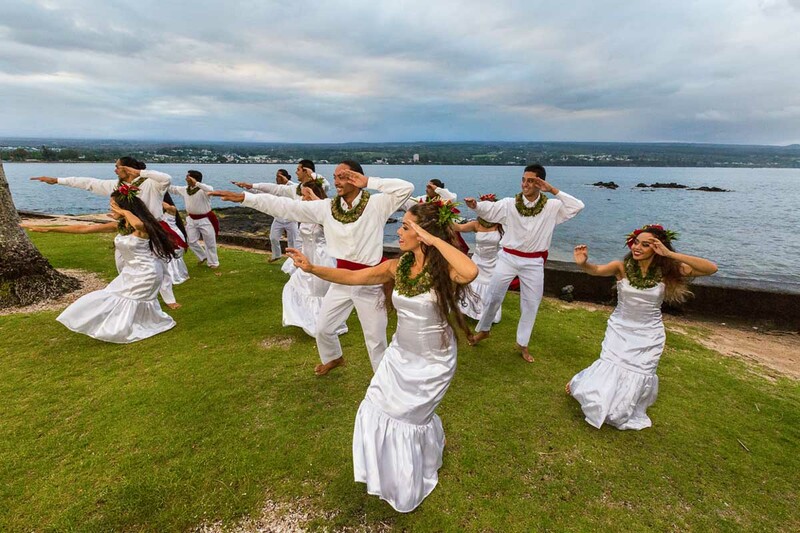 3) Experience the Aloha spirit! Spot the lei garlands around our necks! The warmth associated with Hawaii comes in two forms — The climate, and the people. 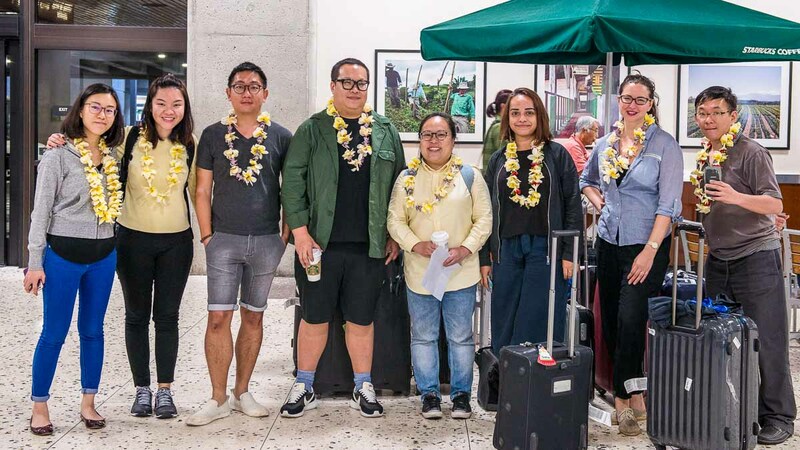 Upon arrival in Hawaii, we were greeted by our driver who welcomed us with a Lei each, an iconic Hawaiian flower garland. The Lei is made of fresh flowers strung together and holds the meanings of respect, honour, and friendship from the giver to the recipient. It was nice to receive a handmade gift the moment we landed in Hawaii, as it marked the beginning of a joyous and exciting trip! 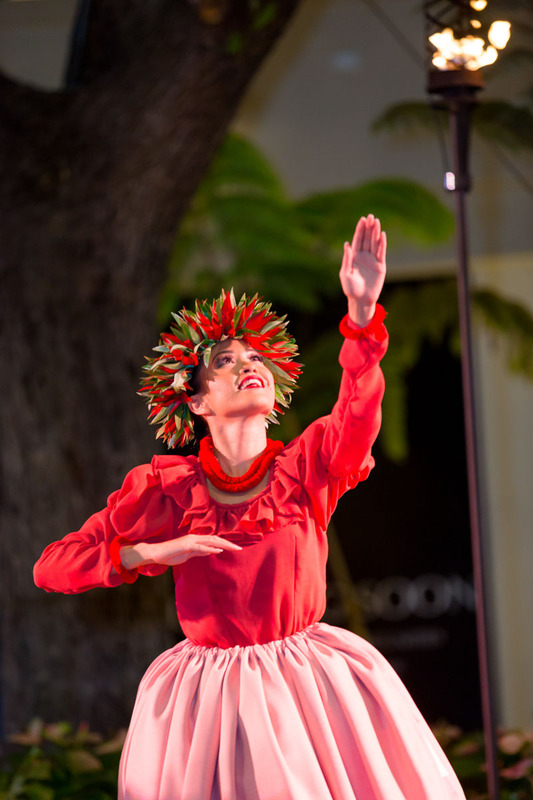 Immerse yourself fully in the Hawaiian culture with a free Hula show at International Market Place. The upbeat performance, O Na Lani Sunset Stories, is put up daily at 6:30PM. Poke bowls are a recent trend here in Singapore — a bowl of rice topped with thick slices or cubes of sashimi. And while poke bowl eateries in Singapore mostly market poke bowl as healthy food, it’s really just fish salad eaten with rice back in Hawaii. 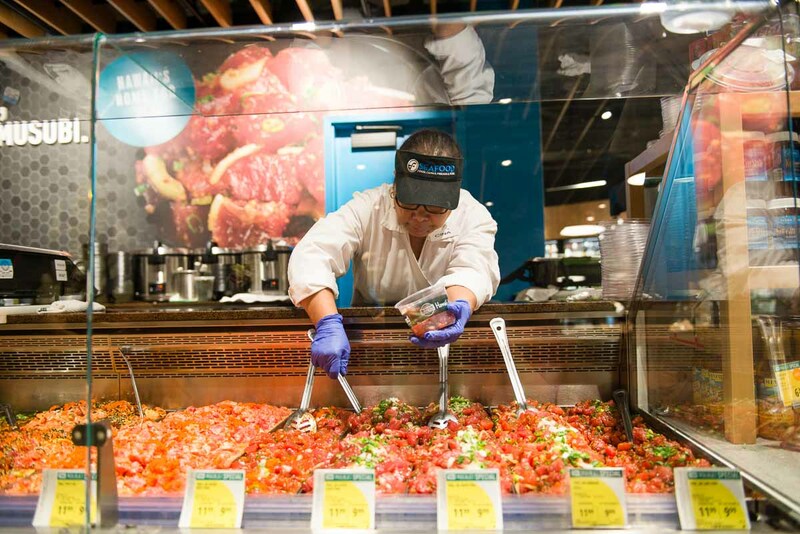 In Foodland (a supermarket chain in Hawaii), there’s a wide variety of poke that’ll leave you spoilt for choice. 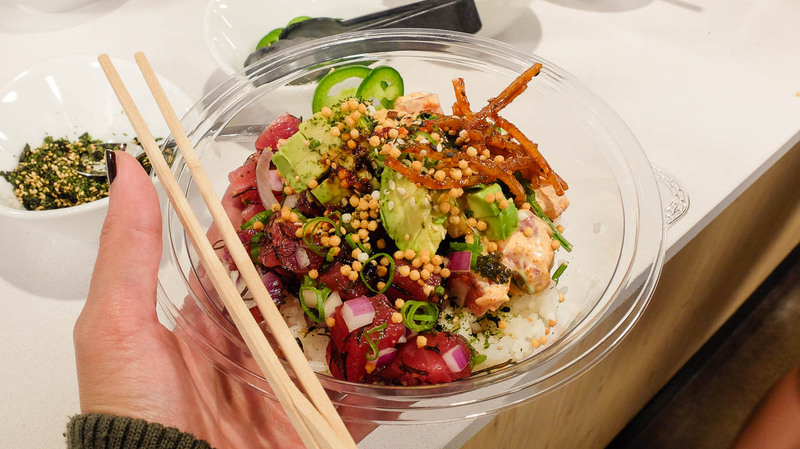 Besides being a lot cheaper than the poke bowls you get in Singapore, you can even customise your own poke bowl with choices such as California Roll Ahi, Spicy Ahi, Kochujang Ahi, and many more! My favourite poke would be the Kochujang Ahi, with the Korean spice bringing out the tastiness of the tuna without masking the freshness of it. Before Hawaii became part of the USA, it was a self-governing country with its own monarchy. The Iolani Palace was the royal residence of the rulers of the Kingdom of Hawaii from King Kamehameha III in 1845 to Queen Liliuokalani in 1983. 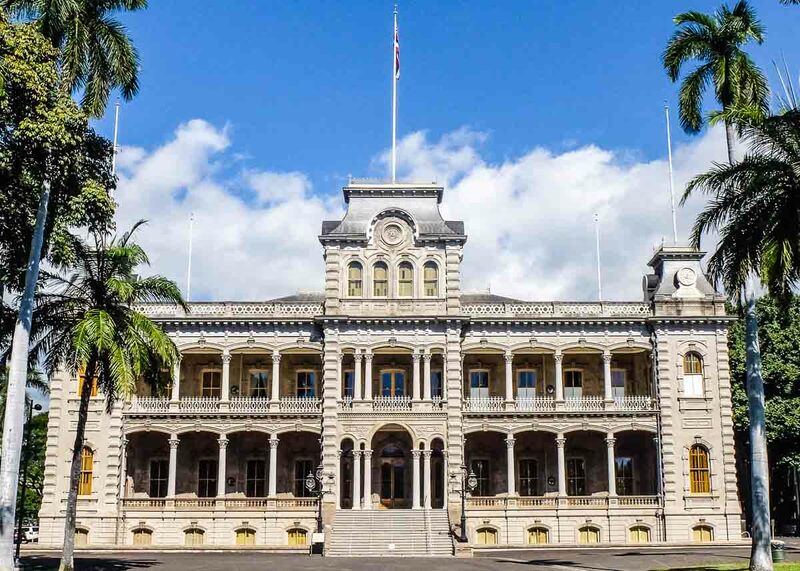 Experience the grandeur of the royal palace with a guided tour, and learn more about the history of the Kingdom of Hawaii. 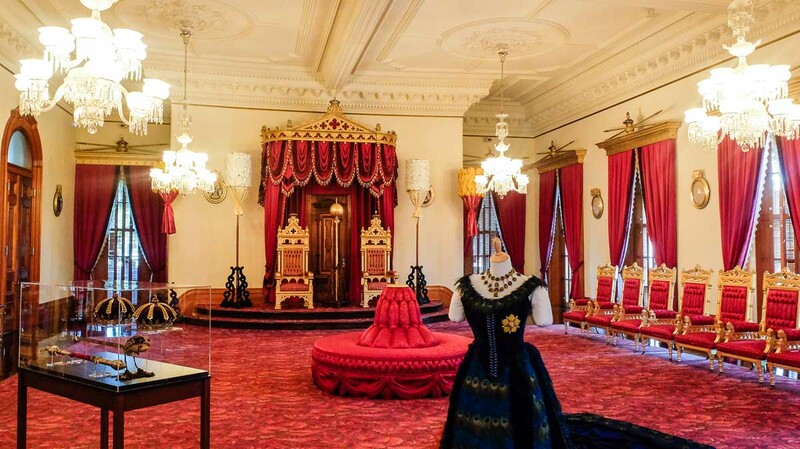 *Pro-tip: Check http://www.iolanipalace.org/ as they sometimes open on certain Sundays too! 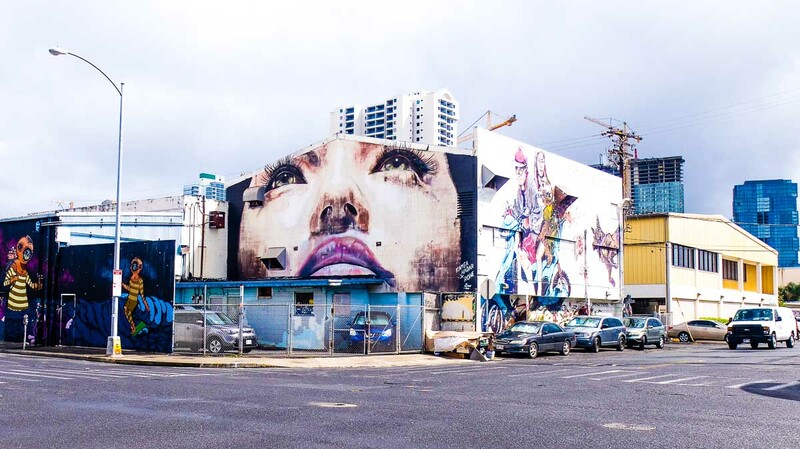 An up and coming creative area of Honolulu, Kakaako reminded me a lot of Singapore’s Haji Lane with vibrant murals drawn on every piece of wall. However, instead of hipster cafes and indie trinket shops selling whozits and whatzits, you’ll see industrial shophouses. Kakaako used to be an industrial district. The flat walls of the industrial buildings, together with cheap rent, made it the obvious choice as a nest for the founders of POW! WOW! to start their creative artworks. An annual weeklong event, POW! WOW! 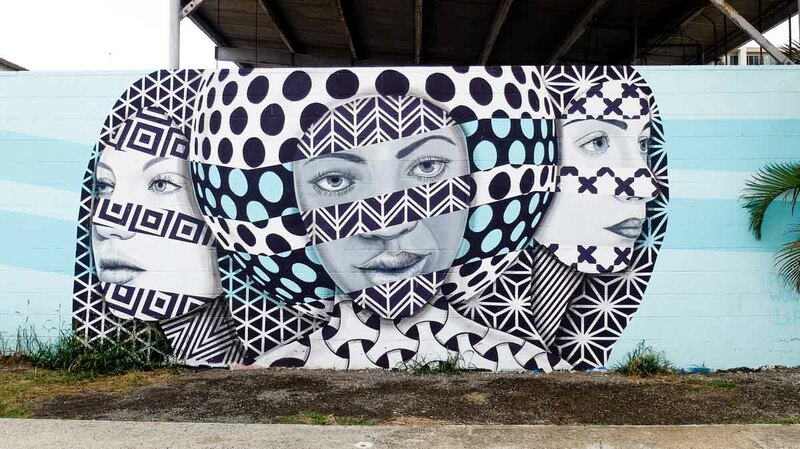 sees international and local artists coming together to create murals and other forms of art. 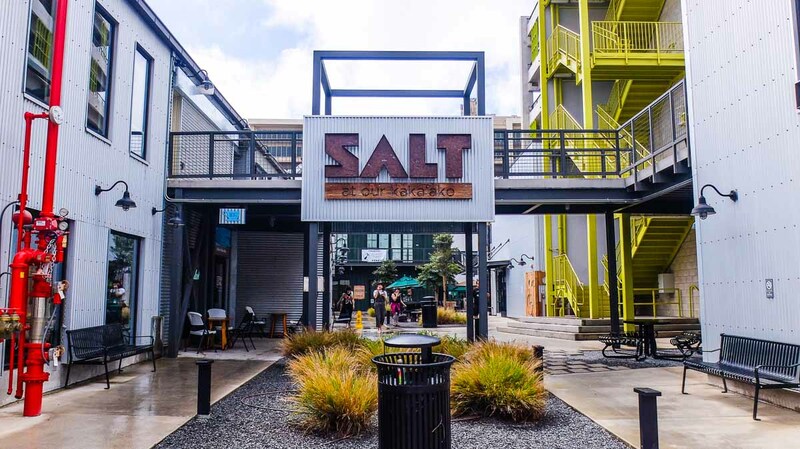 SALT at Our Kakaako is a marketplace with a variety of local businesses that had started flourishing after the attention brought about by POW! WOW! You can find artisanal coffee, chocolates, and beer among other indie food and retail shops at this trendy local hideout. 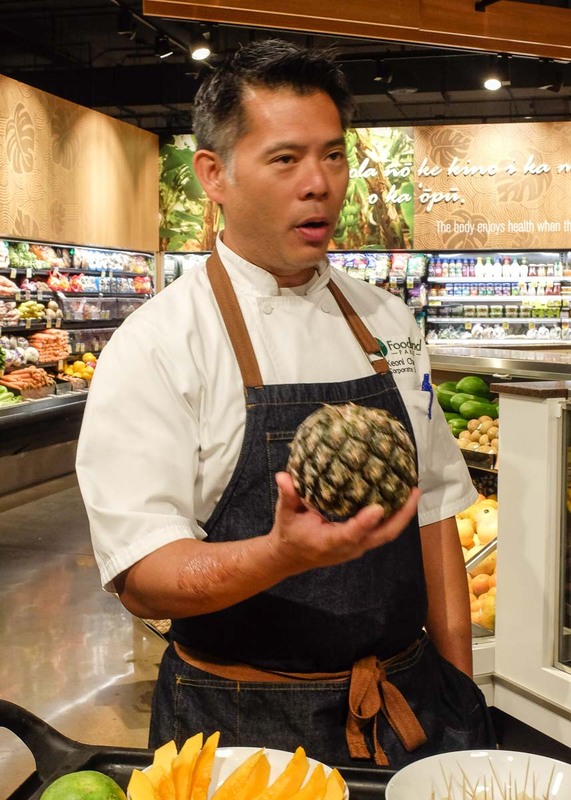 There’s a reason why pineapples are such great icons of Hawaii. You’ll have to try it to believe it. The Honey Cream Pineapples we had in Honolulu were nothing I’ve ever tasted. The honey cream pineapples of Hawaii are less tart but still as fragrant, and has a creamy texture similar to eating a soft fruit like an avocado or papaya. 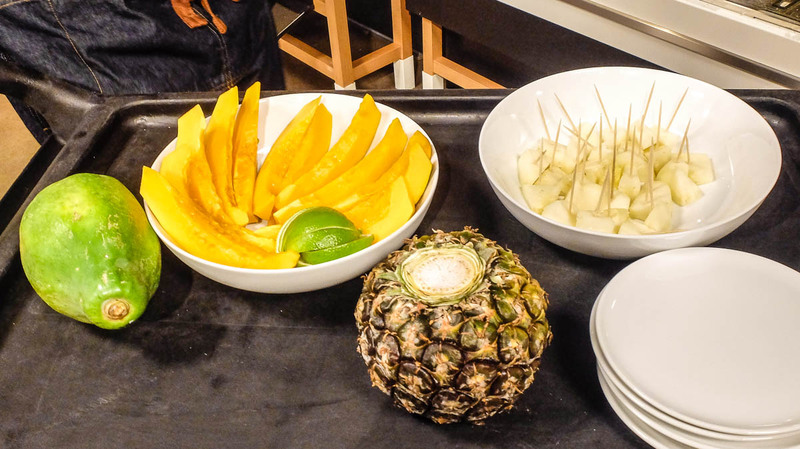 The low acidity level brings out the sweetness of the pineapples and makes it a real joy to consume. Besides the pineapples, Hawaiian papayas are superbly yummylicious too. 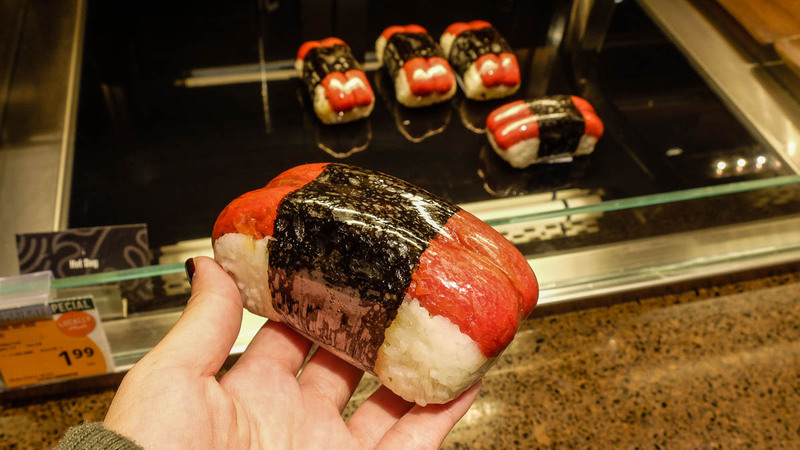 If I were asked to describe Hawaii as a food, it would not be Poke bowl nor Locomoco, but the Musubi. 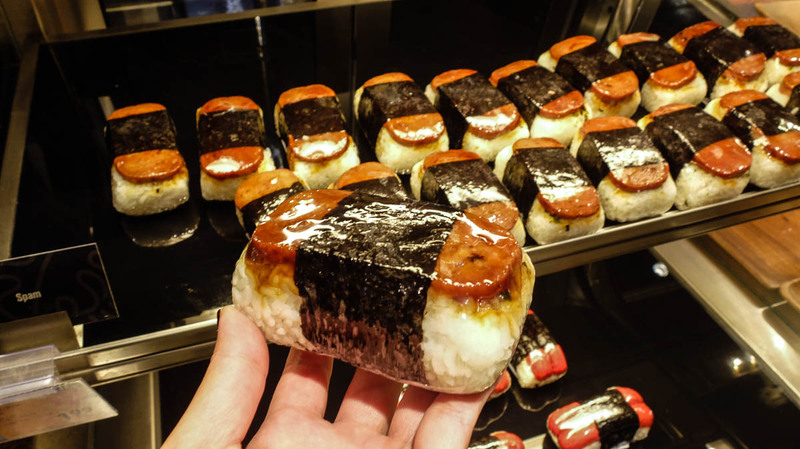 A Musubi is essentially an omusubi (onigiri) sushi, but instead of slices of fish, you get a piece of grilled spam (luncheon meat) on top of the rice. 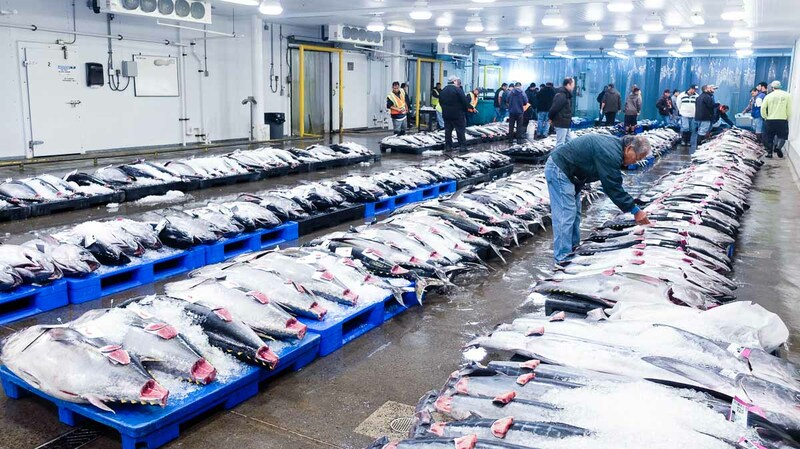 The Honolulu Fish Auction is one of the few fish auctions in the USA, where brokers of restauranteurs bid for fresh Ahi (Bigeye and Yellowfin Tunas). The auction starts at 5.30am daily, and you’ll see brokers crowding around and studying the flesh samples of the gutted tunas that are neatly lined on pallets on the floor. We visited the auction together with Chef George Mavrothalassitis, owner of the casual fine-dining restaurant, Chef Mavro. Hawaiian restauranteurs like Mavrothalassitis get their fresh fish supply from this auction. 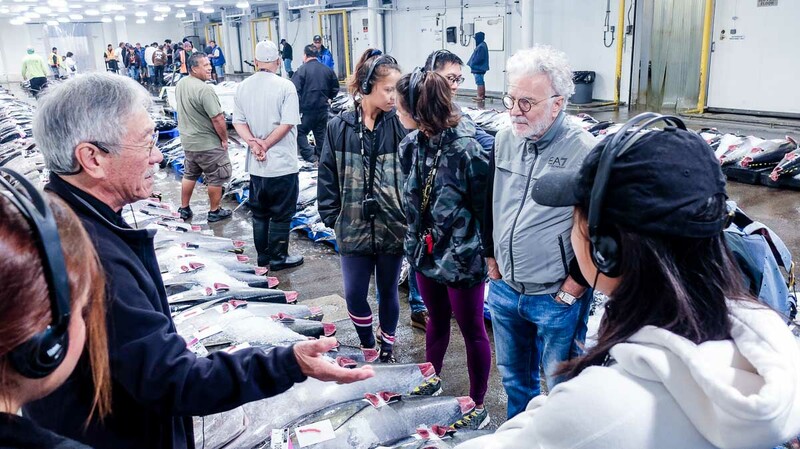 Unlike Japan’s Tsukiji Fish Market or Osaka Central Fish Market, Honolulu Fish Auction conducts auction tours in English for curious locals and tourists alike on Saturdays. 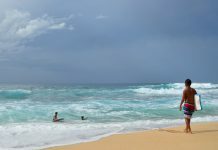 These aforementioned things to do in Honolulu are sure attractions that set Hawaii aside from the rest of the world. Want to visit the OG paradise on earth? You’ve got to make your way to sunny Hawaii, where the grass is greener, air is fresher, people are nicer, and experiences unique than everywhere else. Scoot to Honolulu for less! 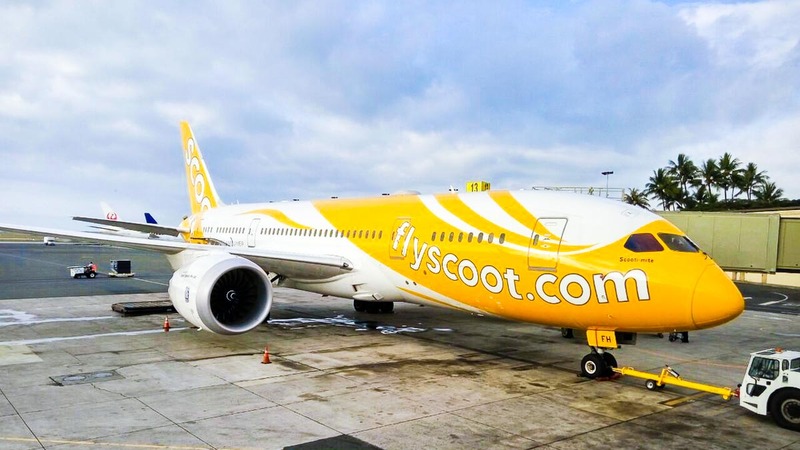 Scoot now has flights 4 times per week to Honolulu from Singapore (connecting in Osaka), starting from S$948. 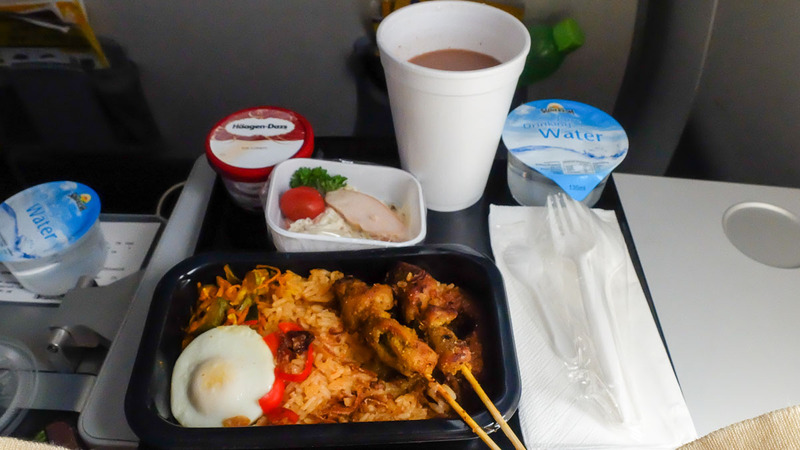 Some people talk about how low-cost carriers like Scoot doesn’t include food, but with the cost savings available, you can probably order more meals than you can eat! The flight departs Singapore in the morning and arrives in Honolulu the same morning (yay for time difference!). 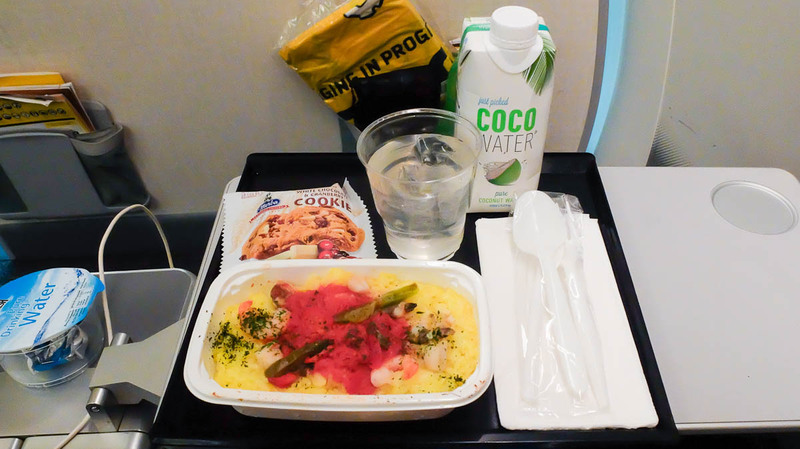 Although a low-cost carrier, Scoot’s 787 Dreamliner is spacious and comfortable. You can also upgrade your seats to ScootinSilence or ScootBiz for an even more comfortable flight. My virgin business class experience was on ScootBiz, and it was the perfect introduction to the luxe life of paradise in Hawaii. The seats are wider and roomier, with an extendable leg rest and 20cm recline backrest. This means you get to get a good sleep onboard. 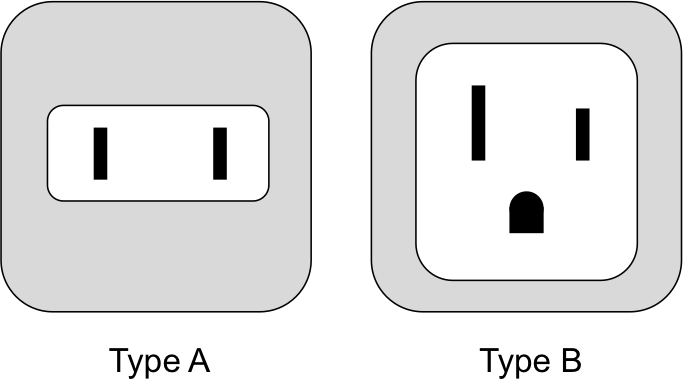 There’s also a universal power socket to keep your phones charged while catching some of the latest movies and TV shows onboard ScooTV streaming in-flight entertainment. Talk about affordable luxury! This post was brought to you by Hawaii Tourism Southeast Asia and Scoot.